Abortion clinic buffer zone laws have been struck down by the U.S. Supreme Court. Pro-life supporters will now be able to have quiet conversations with women entering clinics to tell them about alternatives to abortion. I feel this is a good decision. The law that was struck down, McCullen v. Coakley, No. 12-1168, was a knee-jerk response to violence brought on by anti-abortion activists. I feel that we can’t restrict the many for the sins of the few. WASHINGTON — The Supreme Court on Thursday struck down a Massachusetts law that barred protests near abortion clinics. The law, enacted in 2007, created 35-foot buffer zones around entrances to abortion clinics. 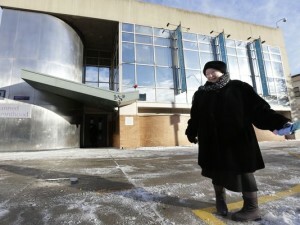 State officials said the law was a response to a history of harassment and violence at abortion clinics in Massachusetts, including ashooting rampage at two facilities in 1994. The law was challenged on First Amendment grounds by opponents of abortion who said they sought to have quiet conversations with women entering clinics to tell them about alternatives to abortion. In 2000, the Supreme Court upheld a similar Colorado law in Hill v. Colorado. That law established 100-foot buffer zones outside all health care facilities, not just abortion clinics. Inside those larger zones, the law banned approaching others within eight feet for protest, education or counseling without their consent. Massachusetts experimented with a similar law but found it inadequate. In testimony before a legislative committee in 2007, Capt. William B. Evans, then a police commander and now Boston’s police commissioner, said the floating-bubble approach made his officers’ job impossible. “I like to make the reference of a basketball referee down there, where we’re watching feet, we’re watching hands,” he said. I am personally against anti-abortion-sponsored violence as I am against violence of any kind for any purpose other than self-defense. I feel abortion is evil and self-centered in most cases, but I do not believe violence in the name of protecting the unborn is justifiable. Let me know your thoughts on this matter. What remains to be seen is whether the new ruling could have national impact on the practice of erecting buffer zones and public protest zones. It could open others to question, such as those outside polling places, political conventions, funeral services — even the court’s own plaza.